Anthony Larsen, a writer for SpanishHackers.com, guest blogs today on the power of pronunciation to help improve one’s language learning abilities. A few months after I started learning Spanish I took up a new job where I worked with mostly Spanish speaking Latinos who knew little English. I thought, “Great, this is an awesome opportunity to practice my Spanish. I had been learning Spanish largely on my own with using flashcards and skyping with a language partner. I thought my vocabulary, limited though it was, would be enough to carry me through the basic conversations I expected to have at work. I was wrong. My coworkers spoke very fast, and I, despite my best efforts, had a great deal of trouble understand anything beyond the first or last word of a sentence. I’d ask them to speak slower and still had difficulty. Only after thinking on a spoken sentence for a minute or two would I be able to understand what they were trying to tell me. But this didn’t make sense, I knew the words they were speaking, at least I’d recognize them if I read them, but when they were spoken together in everyday language I was completely lost. I had found a hole in my Spanish learning, and it would take a while before I realized the key aspect of the language that I had up to that point neglected: my Spanish pronunciation. When you learn a new language it’s almost as if you are learning two: The written language and the spoken language. This can create problems with pronunciation in two ways. The first is that when we come across an unfamiliar sound in a new language we usually try to approximate it with sounds from our native language. A great example of this is the Spanish alveolar tap ”r” found in words like caro and pero. This Spanish “r” has more in common with the “tt” in the English words butter or the “dd” in ladder; than it does with the English r sound we typically find in words like rat or rag. When a native English speaker learns Spanish words like caro and pero often times they can subconsciously revert to the English “r” when they speak them because they have read the letter that way for most of their life. As a result when they hear native Spanish speech within a real conversation they have trouble recognizing words spoken with the Spanish “r” because they have become accustomed to reading and hearing the English one. This difficulty is compounded when a language learner runs into the second problem posed by the written and spoken aspects of a language: the fact that in real life conversation the pronunciation of words spoken together is often different from the way those words are read and written. It would be wonderful if every language was written the way it was spoken and vice versa, but unfortunately that’s not always the case. English is a great example of this. The simple fact that “meet” and “meat”, sound the same but on paper are different words show this. Or take the word “listen” which is essentially pronounced “lissen”. Even if a student is learning a language with consistent spelling and pronunciation (like Spanish for instance), They can still run into trouble when listening to a native speaker. When spoken together individual words blend and shorten to create pronunciation that are different than the pronunciation used when the words are spoken individually. Take a phrase like “What’s going on?”, when spoken by a native English speaker can sound like “Hey, Wuts goin’ on?”. Or take the Spanish phrase ¿Cómo estás?, which is often pronounced ¿Cóm-stas? Usually when we are taught a foreign language in a more formal setting we start learning the written and spoken aspects separately, beginning with reading and grammar only later attempting any kind of speech. As a result when we progress through the language a widening gulf emerges between spoken words and written words. When we hear a word or phrase in our target language we have trouble comparing it to the written words we know. Similarly it will not be uncommon to come across a written word that we aren’t comfortable saying. Thus it can be extremely difficult to learn and pick new words in a natural context. I once read about a language learner who noticed this phenomenon in his own native English. He had come across the written word “scheme” and assumed that it was pronounced sheem. He had seen it used the context of color sheems and sheeming con men. But he had also heard the word “skeem” used in a similar context and wasn’t quite sure what the difference was or when to use which word. It was only until he Googled the definition of scheme that he found out that the two words were actually one and the same. He had essentially encountered a gap between his written English and spoken English. This problem is compounded when we are learning a foreign language. Because the words, sounds, and grammatical structure are completely new it can be quite easy to misunderstand or miss completely new words and phrases. So how can we help address this problem? We can do it through correct pronunciation. Pronunciation is a bridge between these “language gaps”. As we learn correct pronunciation we can connect the sounds of the spoken language to the letters of the written language and vice versa. This allows a sort of feedback loop between the two aspects of a foreign language so that the words we hear and those we read reinforce our understanding, instead of hindering it. So how do we go about learning this correct pronunciation? For techniques on correct pronunciation we will look toward an unlikely source: opera singers. Some of the most famous operas are written in performed in languages as diverse as Italian, French, German, and Russian. As a result an aspiring opera student is required to learn the correct pronunciation for some or even all of these languages, at least insomuch as they need it to perform the opera in question. They accomplish this by breaking a language down not word by word but rather sound by sound. They learn each individual sound (called phonemes) within each syllable and gradually begin to link them together to form words and then whole sentences. This may seem like a daunting task, but each language uses a limited number of individual sounds (usually around 40). Some are more common than others and once you have a handle on the more common ones you will start to see significant improvements in your pronunciation. There are a myriad of ways of breaking down these sounds and incorporating them into your language learning regime. One popular technique is called backlinking, where you break a word down into its syllables and gradually start pronouncing the syllables together one at a time starting at the last one, so that you are learning to pronounce the syllables in a backwards order. tion, -a-tion,ci-a-tion, nun-ci-a-tion, pro-nun-ci-a-tion). This technique is especially effective when tackling long or difficult words. Another common technique, which also takes a play from the book of opera singers, is to practice correct pronunciation through song. With this approach we again break down the individual syllables of the language, but this time we use a song for practice. Taking a song in our target language we take each syllable of each lyric and begin stringing them together until we can sing the song with correct pronunciation. Some language learners have created whole methods based on this approach. Still another technique is to simply make a concerted effort to mimic native speakers of your target language, focusing on the more minute details of the spoken language from pronunciation but also body language and facial expressions. This approach is less technical than others, but it has proved successful for some. So whether you are learning how to speak Spanish in the workplace, simply improving your knowledge of your native language, or learning another language in a formal or informal setting, pronunciation can play a bigger role in your success than what most people typically assume. 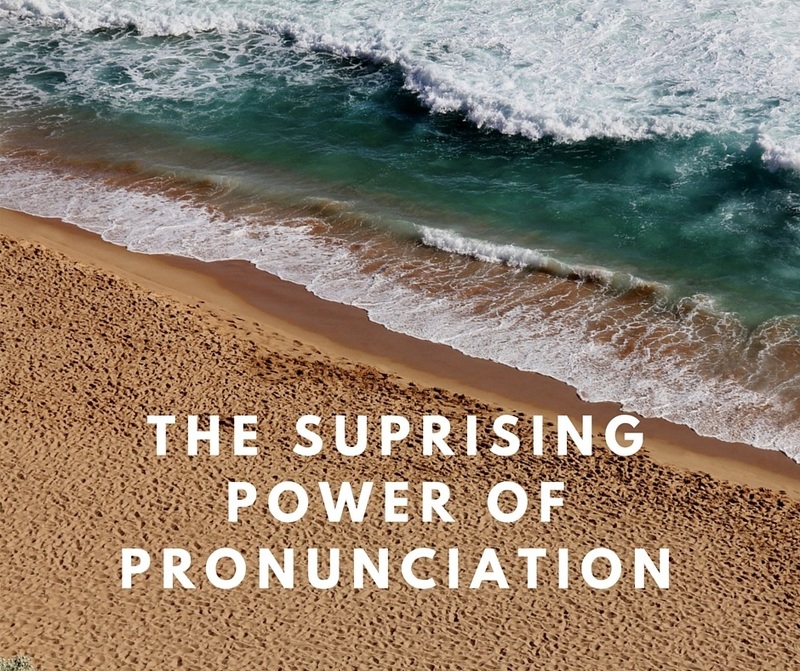 Though it’s often considered an afterthought in the language learning world correct pronunciation can help you make great strides in your target language and set you up for fluency. Anthony Larsen is a writer and founder of SpanishHackers.com. When he’s not providing useful Spanish learning tips he loves to travel and drink overpriced coffee.